Which MBA best suits my profile? Hi, thank you for your help! 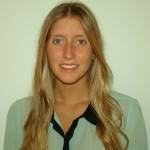 I am Camila, I am a marketeer with 3 years of job experience on a multinational company. I have a degree in Social Communications. I am looking forward in doing an MBA next year and I am a bit confused which programme and which University best suits my profile. I saw information abount many Masters in Marketing, but I am not sure if an MBA is better or an MSc. I look forward to keep on working on a multinational company and make a career there. Which MBAs have a marketing orientation? Look at the top ten lists in the blue menu bar. One is about marketing. As to your question, it depends on what exactly you're looking for. If you wanted to develop more specialized marketing skills, then an MBA with a concentration in marketing or a specialized MSc in Marketing would be a good choice. However, if you were more interested in general management skills so that you could more effectively lead teams or build your leadership skills, etc., then you might just be fine with a general MBA from a good school. Most, if not all of the schools on that list above - HEC Paris, Rutgers, Wharton, etc. would be great choices. In general, the best advice is to go to the best school that you can get into. Most - if not all - general MBA programs will include some kind of marketing curriculum, so the big question for you would be if that basic level of marketing curriculum, plus whatever marketing skills you already have, would be enough for you and your career goals. If you wanted to delve down into something niche, like marketing analytics or consumer behavior, check out a specialized MSc instead.